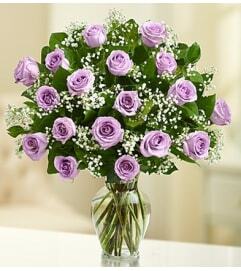 There’s nothing as comforting as a hug from someone you love. 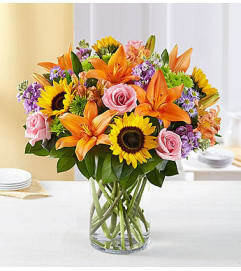 Give them a warm embrace right back with our beautiful arrangement. 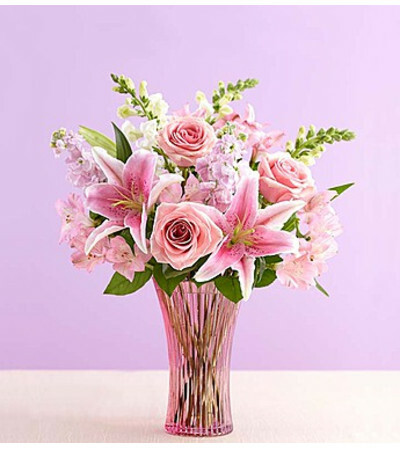 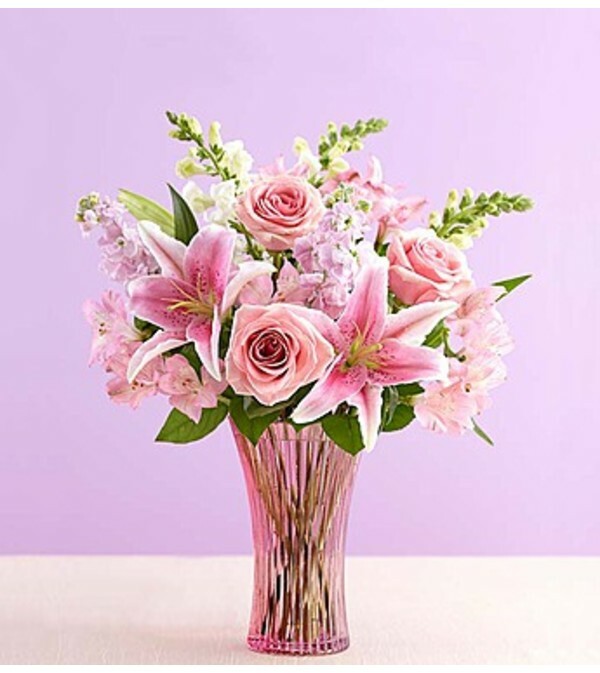 A delicate bouquet of pink and white blooms arrives in a vintage-inspired pink vase reminiscent of Depression era glass, creating a heartfelt expression of your feelings, whether you're celebrating someone’s special day together or sending a smile from miles away.